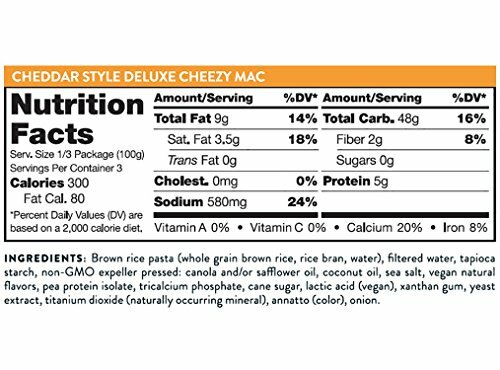 Daiya Deluxe Cheezy Mac gives you all the rich cheesy flavor and creamy texture you expect from your macaroni & cheese. Without the dairy (or gluten). Craving the macaroni & cheese of your childhood? Now you can savor this satisfying treat, even if you follow a dairy-free, gluten-free or vegan diet. Try Daiya Deluxe Cheezy Mac. It tastes just as deliciously cheesy as the mac & cheese you grew up with. Yet it’s 100% vegan and free of dairy, gluten & soy. 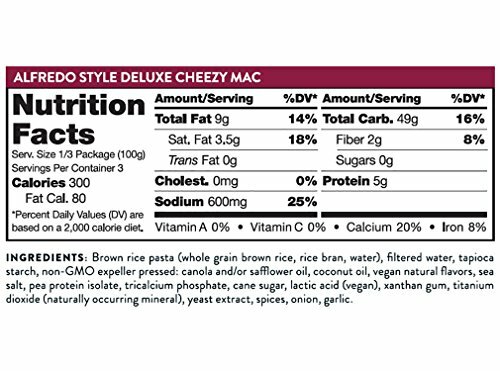 Each satisfying serving of Deluxe Cheezy Mac has 5 grams of protein & is a good source of calcium. Yet it has only 300 calories… and no trans-fat or cholesterol per serving. 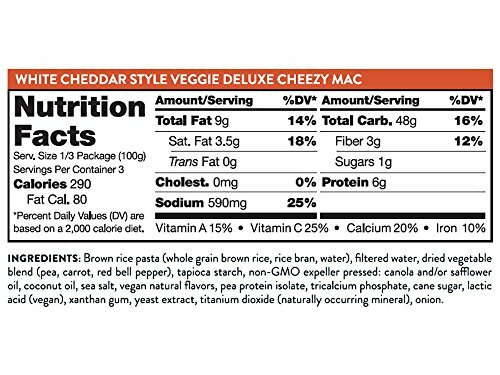 Our Deluxe Cheezy Mac is manufactured in a facility where we have an allergen program to prevent cross contamination. Taste the delicious difference. 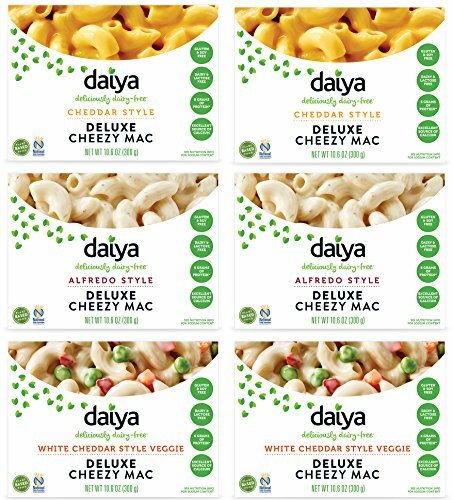 Order Daiya Cheezy Mac now.ENJOY THREE GREAT FLAVORS: This variety pack includes 2 Cheddar, 2 Alfredo & 2 White Cheddar Veggie. 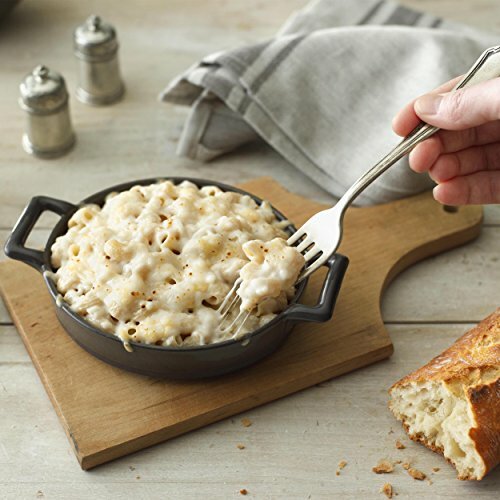 Daiya Cheezy Mac brings you all the rich, cheesy flavor of classic mac & cheese. 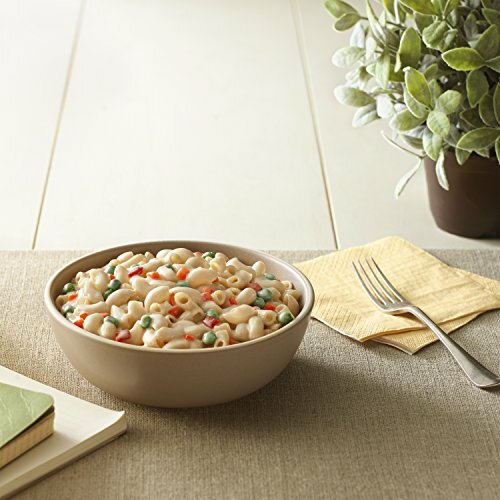 With no dairy, gluten, soy or meat you can satisfy your craving without the worry. 100% VEGAN & ALLERGY-FRIENDLY. No lactose or dairy products. No animal products or by-products. No wheat, soy, eggs, peanuts, tree nuts, fish, or shellfish. We only use premium non-GMO ingredients. No artificial ingredients. Serve Cheezy Mac with confidence. SMOOTH, VELVETY SAUCE: No boxed mac-and-cheese powder here. This convenient squeeze pouch oozes ready-to-eat, white cheddar sauce in its best tradition – thick, creamy & savory. Open, pour, devour. 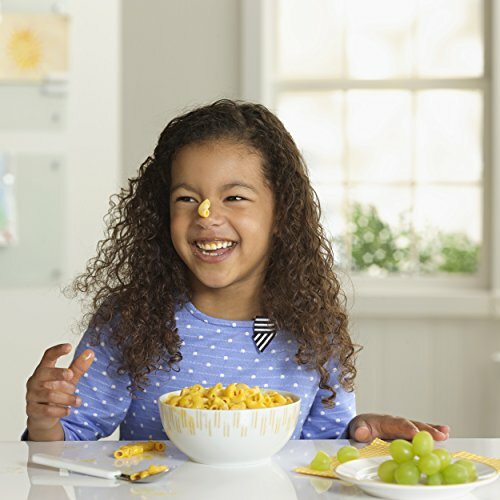 TENDER GLUTEN-FREE NOODLES: Each box of Daiya Cheezy Mac provides 3 generous servings of whole-grain gluten free pasta, loaded with hearty flavor. 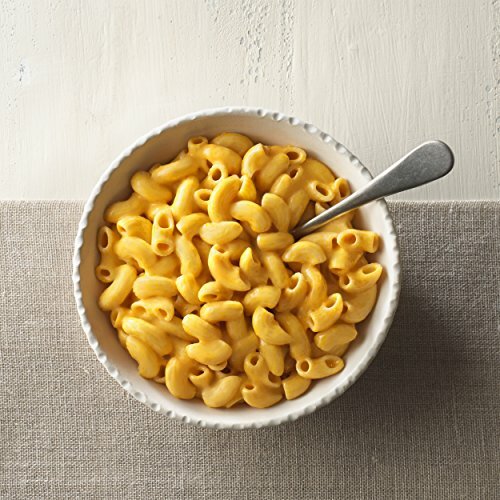 YOUR NEW FAVORITE INDULGENCE: You get the luscious taste & texture of macaroni & cheese – plus protein & calcium. Go ahead… indulge and enjoy.